Our guide to the best tea houses in Berkeley. A properly prepared pot of tea is delightfully ritualistic. 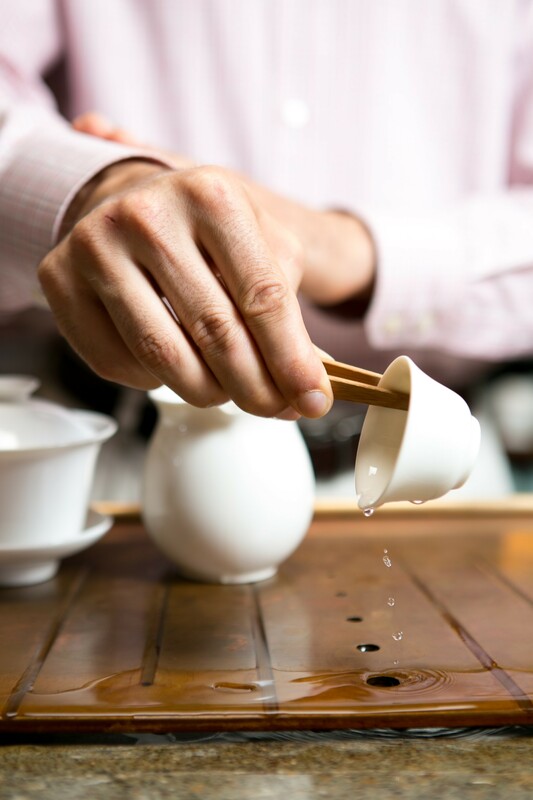 Asian tea culture dates back centuries, and encompasses an entire world of conventions and aesthetics. It's much more than a tea tag hanging out of a to-go cup. Traditionally, tea is meant to be enjoyed mindfully, in the proper setting, with the appropriate tools. Being a Bay Area hub for meditation and other Buddhist practices, it's not surprising that Berkeley is home to some of the best tea houses that the East Bay has to offer. These are the top places to get introduced to that vast world of fragrant, unfurling leaves. Asha Tea House may not be the most peaceful place, but there is a reason why it's constantly filled to the brim with customers. The pleasingly modern tearoom on the corner of Shattuck and University avenues in downtown Berkeley offers an exquisite selection of Taiwanese boba tea — an often milky tea-based drink filled with chewy tapioca balls. While the boba menu at Asha offers a depth and maturity of flavor that's unmatched in the East Bay, Asha's matcha and herbal tea menus are not to be overlooked. Asha is one of few places where you can go to do work on your laptop — and that's how most of the young patrons spend their time there — and also enjoy quality matcha (specially grown and powdered Japanese green tea) that has been traditionally prepared with a whisk in a wooden bowl. The result is a frothy, earthy beverage that's unlike any steeped green tea you may be familiar with, and much more flavorful. Asha offers its matcha in a traditional bowl (ceremony style), as a small "shot," a macchiato, a latte, or as affogato — thick green tea fragrantly poured over scoops of vanilla ice cream ($2.75–$5.25). Asha also offers a wide selection of artisanal loose leaf teas and herbal teas. Most are quite affordable, while some rare blends can be pricier. These can either be enjoyed to go, or through Asha's "tea service." Luckily, there's a special bar reserved for tea service patrons — often the only open seats in the house. The seats come equipped with a two-level wooden tray that catches any spilled tea. The tea arrives in a small bowl for brewing, with a petite pitcher of hot water and tea cups so that you can repeatedly brew and refill. Even in Asha's sometimes hectic environment, the teaware manages to make the tea service experience far more enjoyable than a mere hydrating session. Far Leaves has a homey, unpretentious feel, decorated with plants, hanging lanterns, and worn, wooden tables. It offers its own brand of tea, including many special blends. In all, it sells approximately fifty teas, from familiar herbals to rare teas, including many puer varieties — strongly flavored fermented tea that comes in cakes of varying sizes. Part of the comfortable ambiance of the space comes from having each table equipped with its own electric kettle so that you can keep refilling at your leisure. While not overbearing, the staffers have a wealth of knowledge to offer and always deliver each tea in the proper style of pottery to accentuate the flavors. Patrons often bring laptops and stay a while — unwinding or working — and with the large space, it's never cramped. Small Asian salty snacks and steamed buns are also available, although they're not made in-house. 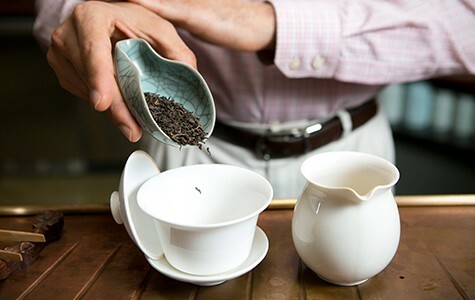 At the Teance tea bar, a tasting requires detailed preparation. Teance is Berkeley's destination for a high-end tea experience. The extravagant yet tastefully designed storefront in the Fourth Street shopping district welcomes visitors with a trickling fountain and pond full of koi fish. Teance's vast collection of teas is expertly sourced and finely packaged. But the main attraction is the store's sophisticated tea bar, which is open 11 a.m. to 5:30 p.m. There, you can either order a pot of tea ($7–$10) gracefully prepared by a suave and knowledgeable bartender, or order a flight of tea for a tasting. For the latter, you get a tasting of three teas of your choosing or a pre-chosen selection based on a category — white, green, Taiwanese, etc. The tastings come with an elaborate educational presentation and take approximately an hour ($27). You can also pay more to get a tasting of the connoisseur teas, which are the shop's best and most rare specialty teas. If you'd rather not sit at the fancy bar, you can opt to take your tea upstairs to the cozier but still elegant lounge. Either way, one of the biggest draws to Teance is the glass case of delicate chocolates made especially for the shop by the Oakland Chocolate Company. On the weekends, Teance also offers matcha mochi cakes. Plus, it works with the local Caravaggio Gelateria to create aromatic tea-flavored gelatos that pair exquisitely with a hot pot.